Nothing is FREE! What is the catch? There is no catch, we promise. As a nation, our freedoms have been guaranteed by the devoted service and sacrifice of our Veterans. This is our chance to finally say a proper ‘Thank you’ to our most treasured Veterans. Veterans travel for free – their expenses are paid through donations to Honor Flight Philadelphia! There is no charge to Veterans for their “Day of Honor”. I am not a hero – those who paid the ultimate price are the true heroes. Why should I be honored with this trip? We understand your reluctance to be called a hero, but anyone who was drafted or volunteered to serve our country is a hero to us. We honor those that did not return as part of the Honor Flight Tour. We view the Changing of the Guard at Arlington and often are privileged to lay the wreath in a very touching ceremony sponsored by the Old Guard, protectors of the Tomb. Please join us to honor those who did not return as well as those of you that did. You are all heroes in our eyes! Veterans who submit an application are selected on a first-come, first-served basis. Within the applicants, top priority is given to WWII Veterans (our most senior heroes) and any Veterans with terminal illnesses. At this time, we are also taking Korean War Veterans on a space available basis. YES! Any terminally ill Veteran is given top priority for the next Honor Flight Philadelphia trip to Washington, DC. What if a Veteran has already been on an Honor Flight Philadelphia trip? We are unable to take Veterans to see the Memorials again. We need to reserve the limited space and donated funds for Veterans who have not seen the Memorials. Schedules vary from year to year, but we generally have two trips per year — one in spring and one in fall. No. Honor Flight Philadelphia is very prepared; we provide a wheelchair for every Veteran for the duration of the trip. In addition, our deluxe motor coaches are equipped with lifts (and a bathroom). If a Veteran is unable to ambulate the bus stairs or transfer from a wheelchair to a bus seat, please be sure to include this information on the application form. Veterans are encouraged to bring their personal cane or walker if they wish. What if I am on bottled oxygen? If a Veteran requires oxygen, a prescription for the oxygen must be provided by the Veteran’s health care provider, identifying the delivery method (i.e. mask or nasal canola), frequency (as needed or continuously), and the rate of delivery (e.g. 2-3 liters per minute). Veterans on oxygen are to bring enough oxygen cylinders to get them through the entire day to include travel time from their home to our departure point and from our arrival point back to their homes. Yes. We travel with qualified Registered Nurses (RNs) on each bus. Additionally, some of our Guardians are medical professionals in our community. Do you provide transportation to the bus departure location? No. It is the responsibility of Veterans and Guardians to secure transportation to and from the bus departure location. As appropriate, Bus Leaders can provide contact information to Veterans who live near each other so they can consolidate transportation at their own discretion. Yes. We travel by chartered bus. The buses have a bathroom on board and a wheelchair lift. We depart from a predetermined location (may vary by trip) in the Philadelphia area. Each Veteran has a Guardian assigned to accompany him or her, with the solitary duties of assuring their enjoyment and safety. A box breakfast is served on the bus. Stops are scheduled at Arlington National Cemetery, the National World War II Memorial, and the Korean War Veterans Memorial. We drive around the Iwo Jima Memorial and enjoy a boxed lunch at the Air Force Memorial. We return home to a Hero’s Welcome and a sit-down dinner. No. While this is always a difficult and sometimes emotional question to answer, it is the policy of Honor Flight Philadelphia to exclude spouses unless they are also Veterans, even if they are willing and able to pay their own expenses. These trips are dedicated to our Veterans and with limited space; we must ensure that every available resource is allocated to their accommodation. Yes. Family members are eligible to be Guardians if they are physically capable of assisting the Veteran during the entire trip, at least one generation younger than the veteran and not the spouse, have completed a Guardian Application and Covenant not to Sue, and have submitted a $150 check to cover the cost of their meals, charter bus seat, name tag, and Honor Flight Philadelphia T-shirt. Our TOP priority is the safe travel of ALL the Veterans. Our ratio is one Guardian for each Veteran. Being physically qualified means the person can push a wheelchair all day if needed or assisting in the lifting of a Veteran. The most important rule of thumb is comfort. Comfortable walking shoes and clothing in layers is ideal. We will be traveling on the same bus throughout the day so any items not worn can be securely stored in the bus. Bus Leaders and Guardians will monitor local weather conditions and advise Veterans accordingly. Some Veterans have worn their military uniform and we encourage that if the uniform is appropriate for the expected weather and comfortable. We encourage all Veterans to wear a military cap that showcases their branch of service, field of battle, or military station. We also encourage Veterans to bring photographs, medals, or any memorabilia they would like to share with their Guardian or comrades on the trip. The cost is FREE for everything. You do not need to bring any money, unless you intend to purchase souvenirs. I am a female Veteran. Will we be stopping at the Women’s Memorial? Yes. 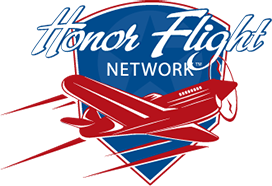 Honor Flight Philadelphia recognizes and respects the desire of our female Veterans to see their own Memorial and can arrange to have the bus stop at the base of Arlington Cemetery to drop off any women who wish to tour that site. However, it should be noted that Veterans who tour the Women’s Memorial will not see the Changing of the Guard at the Tomb of the Unknown Soldier. There is not enough time to do both.